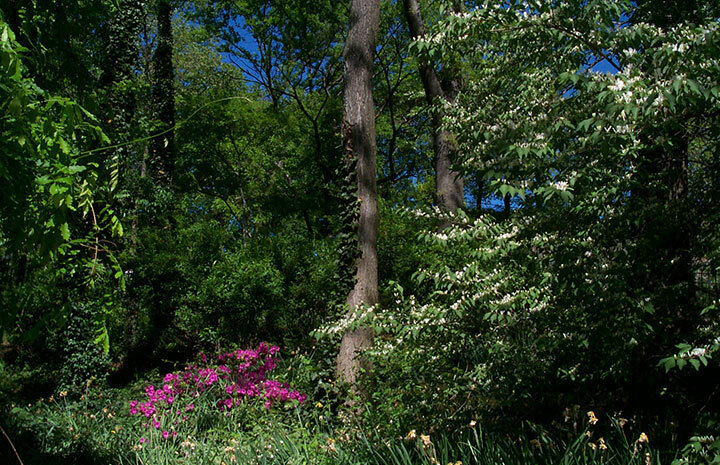 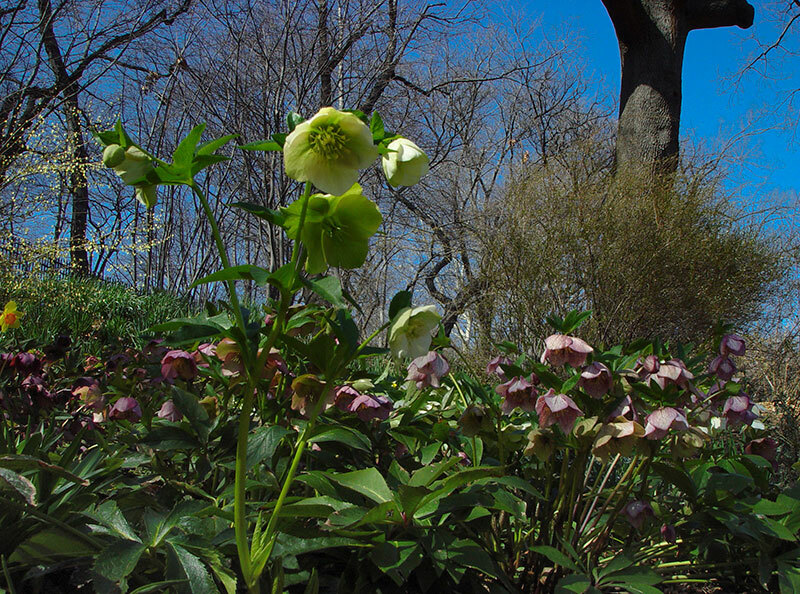 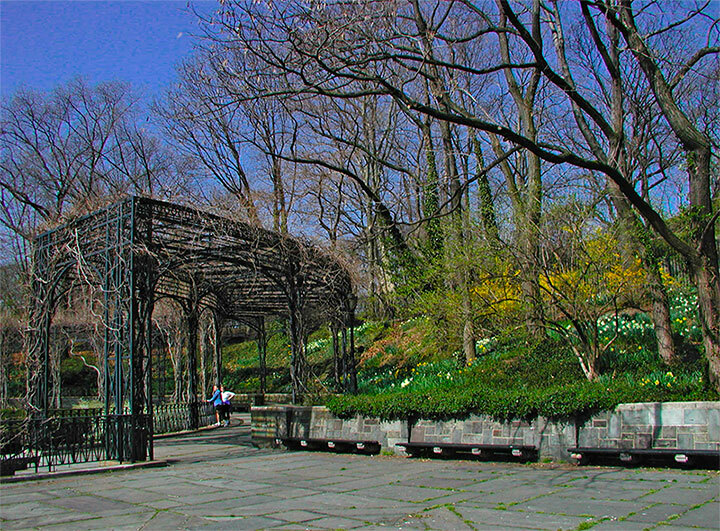 Miami In Focus Photo Gallery of the Conservatory Garden Woodland Slope E105 in Central Park. 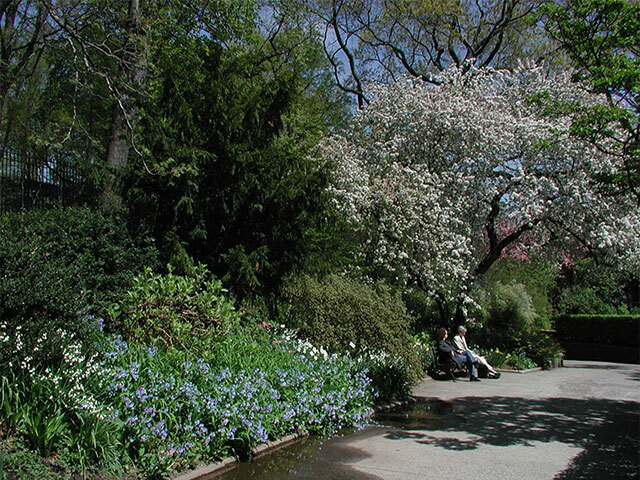 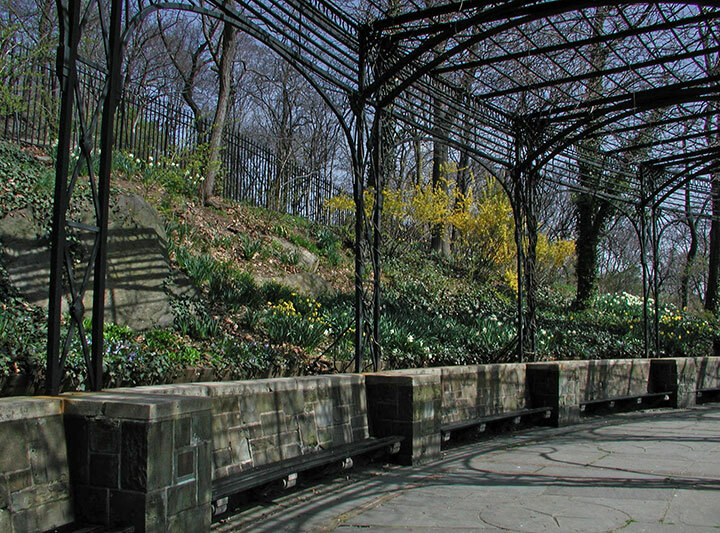 This area of the Conservatory Garden of Central Park is often neglected by visitors.The arc of woodlands behind the wisteria pergola called the Woodland Slope is a narrow but spectacular incline of floral fineness. 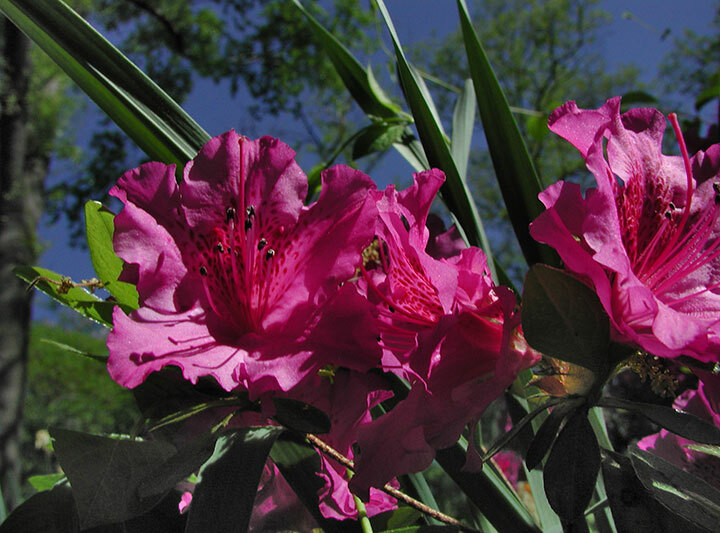 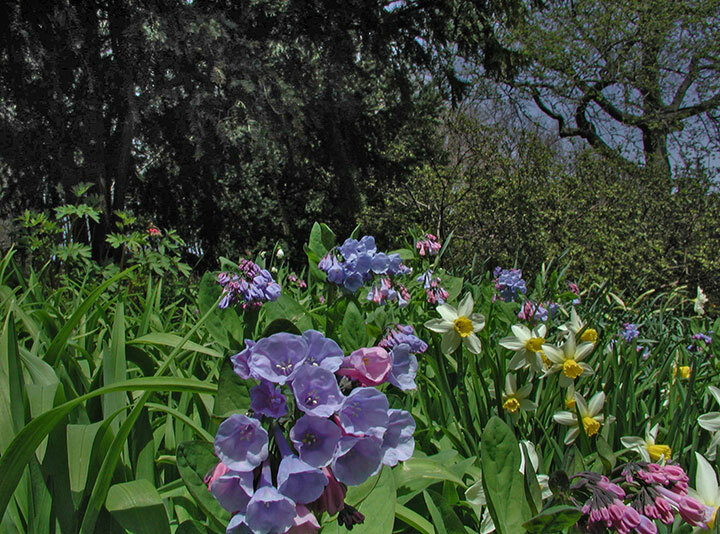 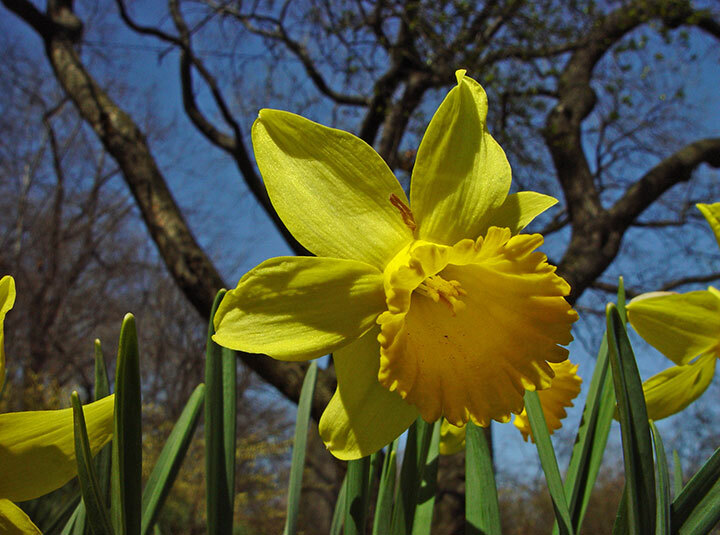 In the spring this area comes alive with daffodils, Lesser Celandine, forsythia, and Virginia bluebells.